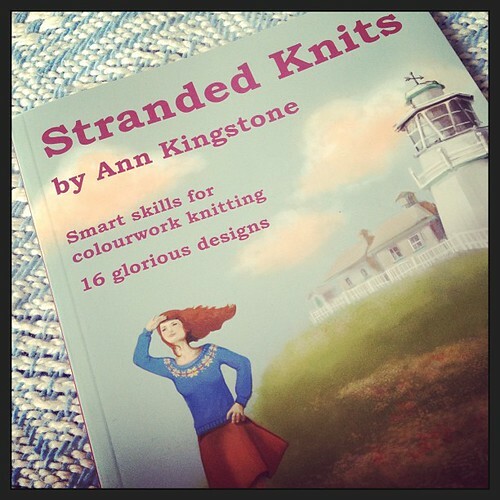 I've been a big fan of Ann Kingstone's work for a while now, especially her stranded knitwear (wetwang being a particular favourite that I really really will knit for myself one day) if you haven't come across her designs before I strongly recommend you go investigate. So I was thrilled to get my hands on a copy of her new book, 'Stranded Knits'. It's such a beautifully put together book. If you've never tried your hand at stranded knits before, but have a basic understanding of knitting this book would be a fantastic step into the wonderful world of colourwork. If you have tried stranded knitting before, I would still heavily recommend getting hold of a copy, it taught me so much. I love knitting colour work, almost all of my, handful of, knitwear designs have included it, but Ann's book gave me so much useful knowledge. The first third of the book is devoted to the 'smart skills for colourwork knitting', and boy are they smart and easy to understand. This is the kind of knitting book you really want to read, not just flick through and admire the pretty patterns. Techniques I learned so far, include spit splicing (I knew about this technique but the book really encouraged me to give it a go and since I did I wonder why I never tried it before! 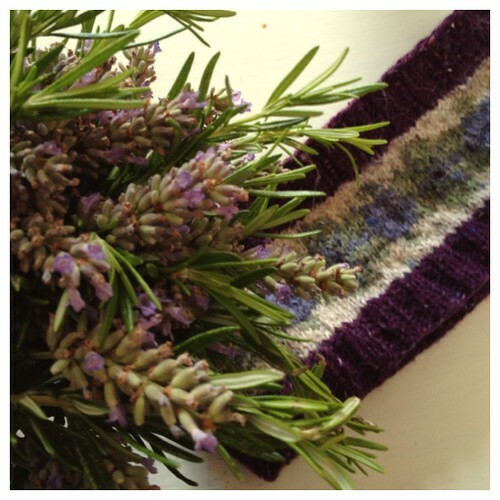 ), choosing the right colours for your colourwork (a lesson I read after I knit my first pattern from the book, d'oh! ), steeking and whole new-to-me cast on. I'm sure as I knit more patterns from the book I will learn more and more too. The diagrams are so clear and easy to understand, which helps bring the written instructions to life. I really don't think I have one bad thing to say about this book. I would lovingly knit more than half of the patterns featured (if only I could find a couple of extra days in the week!). I especially love how there are both quick patterns to get you started and full colourwork sweaters to get your teeth into once you get going. I gifted myself the yarn and the time to knit the Enid Headband, over my birthday weekend back in August. The pattern was easy to follow and a joy to knit. I love the finished product and am eagerly awaiting the cooler days so I can put it to good use. This was the pattern which I knit without testing the suitability of the colours unfortunately and in an ideal world I would probably have swapped them about a bit as the colourwork isn't quite as prominent as I would like. But obviously if I'd spent the time reading the book properly before rushing in to knit this wouldn't have happened! 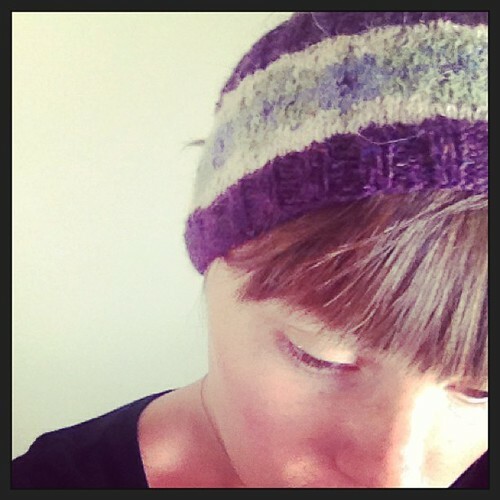 All the samples in the book are worked in Rowan yarns and I used the recommended felted tweed for my headband. 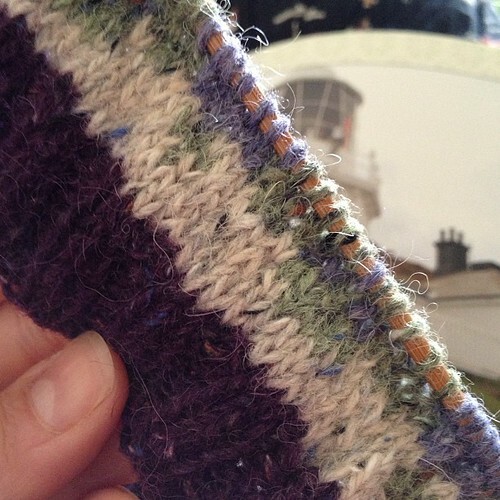 The only issue I really had was with the yarn, as I knit on double pointed needles, I found when pulling the last stitch of each needle tight, the yarn would quite often break, but once I established this problem I managed to find a good middle ground of yarn pulling, which avoided the snapping. Next up on my list are the Pleiades mitts and hat, possibly as christmas gifts then next year the gorgeous William for myself, I'd love to have a go at Hedgerow but fear it's something I would start and never finish. 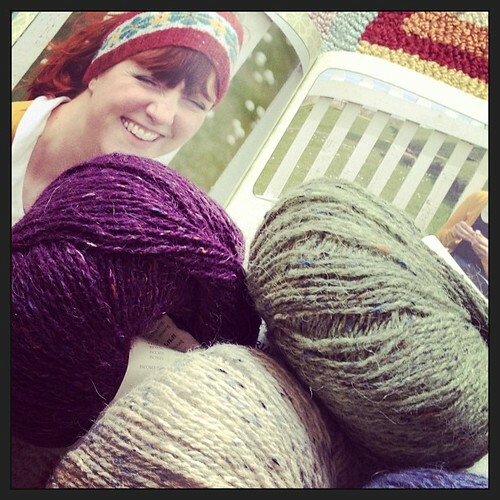 Stranded Knits is available for purchase as a, real life hold in your hands, book from Baa Ram Ewe here.